Below is a day-by-day itinerary for the Forts, Lakes & Tigers Tour. This is how we expect the tour to flow, but as you know…adventure happens! Dive in and get excited! Early morning you’ll have time to visit the Keoladeo Ghana National Park and do some bird watching. Soon after breakfast, we’ll ride to Deeg. This ride will be a good introduction to your bike and the riding conditions. In Deeg, the night is all yours. Don’t forget to visit the palace though! It really begins! 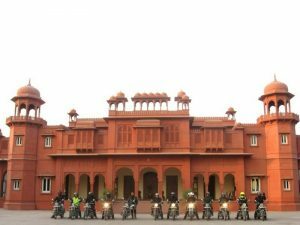 After breakfast you’ll kick-start your motorcycle tour and head towards Jaipur, the state capital of Rajasthan. 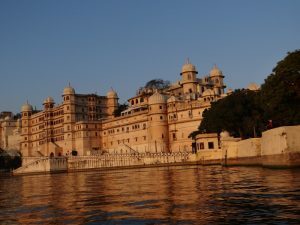 The day is yours for sightseeing and Jaipur has a lot to offer! A bus coach and an English guide will take you around the most popular spots. Leaving Jaipur, you head north-west on the NH-11 towards the Shekhwati region, to the town of Nawalgarh. Referred to as the “open air art gallery” of Rajasthan, the entire Shekhawati region is dotted with fascinating mansions (havelis) embellished with frescoes & colourfully painted walls. Later in the evening, you may either explore the town or use the time for rest/relaxation. 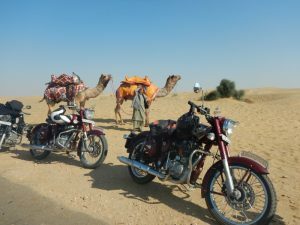 Joining the NH-11 again, you’ll head west towards the city of Bikaner, one of the famous desert cities of Rajasthan. Bikaner’s landscape is dominated by the indomitable Junagarh Fort and the red sandstone Lalgarh Palace. About 150 Km north-east of Bijaipur lies the quaint town of Bundi. Site of yet another impressive fort, the Taragarh, it is also known particularly for its architectural note seen in its ornate forts, palaces, and step-well reservoirs known as “baoris”. 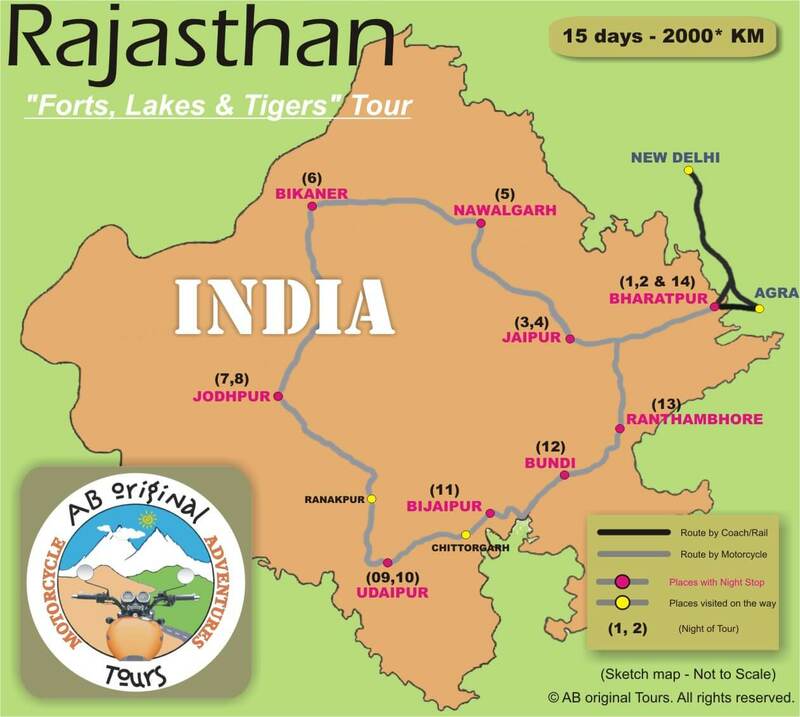 Today’s destination lies further north-east of Bundi and is home to the famous Royal Bengal Tiger. Situated in Sawai Madhopur district of southeastern Rajasthan, Ranthambhore was formerly the hunting grounds for the Maharajahs of Jaipur before Indian independence. 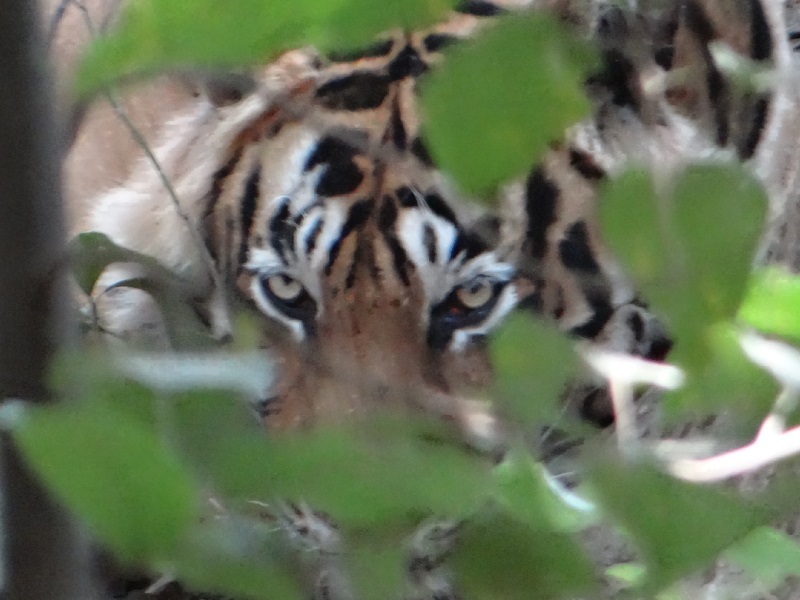 Ranthambhore, now a Project Tiger reserve since 1973, is also home to other major wild animals including the Leopard, Nilgai, Dhole, Wild Boar, Sambar, Hyena, Sloth Bear, Chital plus a variety of birds & reptiles. Soon after arriving you’ll head out for a safari through the national park. Today, you’ll saddle-up one last time and head back to Bharatpur. Having gone a full circle around Rajasthan you’ll be “homing” back to this bird sanctuary. Tonight’s dinner will be a “Farewell” dinner.